The weather is finally warming up and spring and summer are just around the corner. 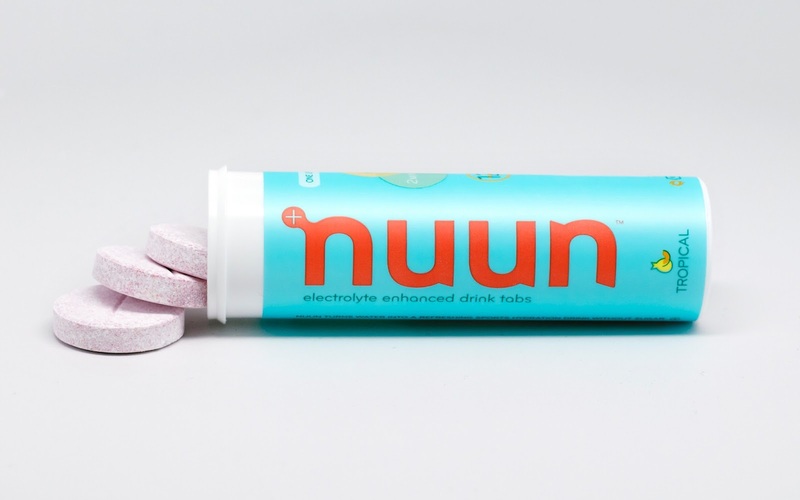 If your kids love to run around outside and play as much as mine do, Nuun (pronounced Noon), the makers of electrolyte and vitamin enhanced drink tabs want to remind you of the importance of keeping your little ones hydrated. It is a fact that people do not drink enough water and our kids are no exception. It is estimated that 75% of us are dehydrated and a mere 2% drop in fluid can lead to reduced mental activity. Dehydration is the #1 trigger of daytime fatigue. If you are tired all day and believe it is due to lack of sleep, your body just may be telling you that you are thirsty. I have a hard time drinking plain water and I know I do not drink enough of it during my busy day with the kids. Now that I am using Nuun All Day drink tabs I don’t have to choke down plain water from the tap. Nuun carries a wide selection of drink tabs packed with flavor, electrolytes, vitamins and minerals. They also have a light refreshing flavor without the added sugar. Nuun is portable and easy to use. All you do is pour a glass of water, drop in a tab, and enjoy! My kids love to mix the flavors and watch the tabs fizz after they hit the bottom of their cup. Nuun is eco-friendly too! Every recyclable Nuun tube makes the equivalent of 12 bottles or 1.5 gallons of refreshing hydration. 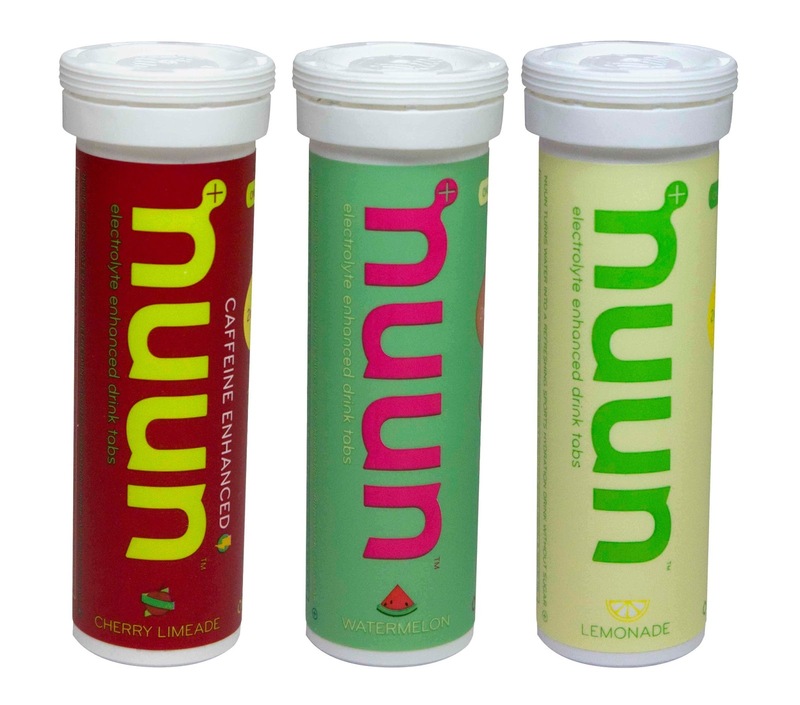 Nuun was the first company to conveniently separate electrolyte replacement from carbohydrates. Before Nuun, if you wanted an electrolyte drink the result was a bottle full of sugar. Nuun was started by a student and professor from the Tuck School of Business at Dartmouth College. As avid cyclists, they longed for a lightweight, easy to use hydration method without a high calorie sticky mess. Their research resulted in the creation of a sugarless, dissolvable, and portable tablet called, Nuun. Today, Nuun Active Hydration is the #1 selling sports drink tab in the cycling, running and outdoor specialty marketplaces. 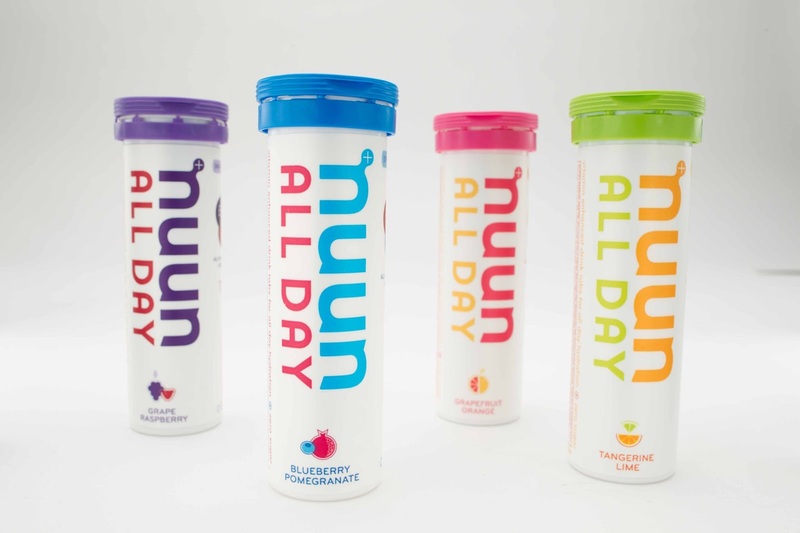 Nuun has expanded its product line from sports performance hydration to include two all-natural vitamin enhanced products for every day use, Nuun All Day and U Natural Hydration. Nuun All Day is formulated to help busy moms like me and their families to stay hydrated throughout the day. We all know how hard it is to get our kids (and even us!) to drink MORE water as opposed to sugary sodas, juices, artificial diet drinks, caffeinated beverages and sport drinks. Nuun All Day hydration tabs drop into any water bottle for 100% natural, no sugar, vitamin enhanced water with only 7 calories per serving, certain to keep you going from post workout to the office to even school pick-up. Dehydration is the #1 trigger of day-time fatigue and Nuun All-Day was developed to help combat that. • Available in Four Refreshing and Delicious Flavors: Blueberry Pomegranate, Grape Raspberry, Grapefruit Orange and Tangerine Lime. The complete Nuun product line comes in 19 delicious and refreshing flavors and is available to purchase online at Nuun.com, your local REI, Whole Foods and Vitamin Shop. For more information about Nuun visit Nuun.com. *Disclosure: I received a selection of Nuun Drink Tabs in exchange for this review. All opinions are accurate and 100% mine.